After six weeks of play, including the first two weeks of conference action, here is a look at the NCAA Division I statistical rankings. 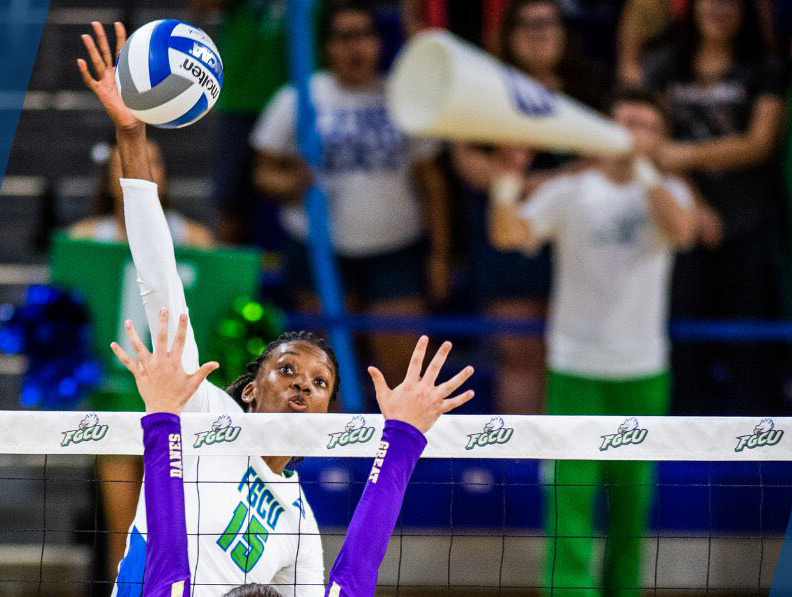 Weber State’s Hannah Hill and Florida Gulf Coast’s Sheronda Pickering have hit at a .451 clip, the best mark nationally thus far in 2018. The offensive leader in kills and points per set is Cincinnati’s Jordan Thompson, who has posted 6.88 points and 6.27 kills per stanza. Stanford’s Jenna Gray has dished out 12.66 assists per set to grab the No. 1 spot in the category. UNLV’s Mariena Hayden has starred from the service line, turning in 57 aces, including 0.95 per set, both tops nationally. Bowling Green’s Kallie Seimet has pulled up 6.58 digs per set to lead the nation’s backcourt players. Wyoming’s Reed Copeland is the best at the net with 1.78 stuffs per set. BYU, one of two undefeated teams remaining nationally, holds down the top spot in Division I in hitting efficiency (.338). Florida Atlantic is best nationally in both kills per set (15.69) and assists per set (14.88). Denver has served up 2.11 aces per set, while St. John’s (NY) is tops in overall aces with 139. Northern Kentucky is the best in the back court, pulling up 20.27 digs per set, while Penn State and Stanford share the top spot at the net with 3.18 blocks per set.